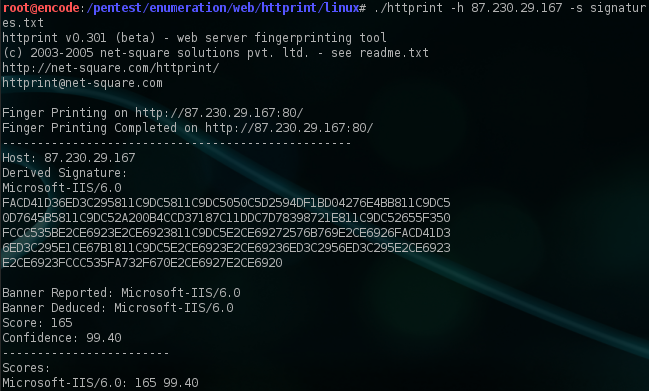 HttPrint is a web server fingerprinting tool by Net Square. It reveals all the details about a web server, and it makes a pretty decent conclusion what the web server used. Identification is based on the implementation differences in the HTTP protocol. As you most probably know, each year we have several seasonal report periods during which we monitor the leaders in the retailing industry to see if their online performance matches their reputation. This year is no different and last month we published the results for this Valentine’s day online retailer monitoring. One of the interesting cases that caught our attention is the site of Victoria's Secret. While at first glance their uptime does not strike the user with a 100% uptime percentage, the downtime recorded for their transaction happened regularly (every 2 days), always around 5 am and lasted usually for about 15 minutes. Since 5 a.m. is clearly not the busiest shopping time of the day, it was most likely a regular, scheduled site maintenance. However, this was not indicated either in their error message or elsewhere on their site. Instead, next to the picture of the stunningly beautiful Alessandra Ambrosio stood the awkward downtime excuse "We're sorry, our site is temporarily unavailable." . 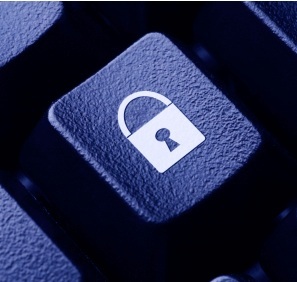 There are various ways to protect a web server. Web servers often become victims of DDoS attacks and it is not uncommon for exploits to be used to gain access or break a web server. Protection comes in different forms and levels, the costs vary, but sometimes there are simple solutions. This one you can implement today. You can mask your server. When looked up, the server can say anything. I mean it, anything. It is probably a good practice to not make up something like “WSP Unbreakable Server 1.3.5”, but to instead choose one from the existing web server platforms. There are two ways to go about this. You can make your server identify as a completely different server or just to say it is an older version of the server you run. When you choose to make your Lighttpd server identify as Apache, you take a great portion of amateur attacks and direct them in a completely wrong direction. On the other hand, if you decide to simply identify as an older version, 3rd parties who try anything funny will probably try to exploit your server with outdated tactics. It can still be useful. What actually works best is to change the name and version of the server. This should take care of at least some malevolent eyes. 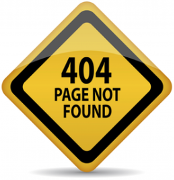 Many sites use this. Torrent trackers are one good example. Most of these sites do not use Apache as trackers usually go for Lighttpd or Nginx. From the example above you can see that the web server powering the site is Apache 1.3.29. This is actually quite old now. The latest stable release is Apache 2.2.17. There is actually a bit more to it than just masking your server’s name. If you are running a Windows server (secure enough, but it can use some tweaks), there is a commercial software solution. It takes care of more than just server name change. It’s called ServerMask. Like with most commercial software there is a free trial for you to try. A great solution for Apache is Mod_Security. What Is The 100% Network Uptime Guarantee? Again and again we see companies offering 100% uptime. In a previous post I have ranted about how inaccurate uptime is perceived. Here I would like to have another go at the never-failing servers and indestructible network infrastructures. 100% Network Uptime Guarantee – It sounds tempting and nice. Actually, a lot of hosting providers are advertising this on their sites. When you read “100% uptime”, you instantly get the idea that they found some miraculous way to keep the network availability and servers running with no interruption. The other way to think about it is to consider it a scam.